“Tell me your story,” I like to say, which leads to a confused look. “The whole story?” A 20-year-old patient named Libby responds. I think 20 years is not that much, but to her, she thinks the summary of her life is an impossible task. The open-ended question is designed to see where the patient will begin. Will she tell me where she was born, whether her parents stayed married, or will she focus on her friends or her academic life. As she constructs a narrative, it is my job to formulate hypotheses about why she is in my office. Of course there is the stated reason she came, but there are many unstated, and unknown reasons she is there as well. I am looking for, what some authors would term, “the analytic surface,” which means where to take her narrative and go deeper. Libby spent a great deal of time talking about her mom leading me to think her parents were divorced, but in fact they were not. This confusion of mine leads me to wonder if perhaps Libby wished they were divorced, and/or felt neglected by her dad and controlled by her mom. “What about your dad?” I ask, intruding into her narrative since my sense was that the absence of hearing about her dad was meaningful. “He was there and he was not there. He did not seem to care about us,” she says with tears in her eyes. The analytic surface in this case was a large and lengthy discussion of her relationship with her mom, moving us to the seemingly more painful relationship with her dad. Struggling to work with this analytic surface is the art of psychotherapy in that from this surface I try to look for meaningful experiences which are harder for us both to see, at first glance. This digging, if you will, needs to be gentle so as not to overwhelm the patient, but it also needs to penetrate the conscious experiences so the patient can experience her life in a deeper and more liberating way. Going below the analytic surface helps the patient understand the inhibitions and constrictions which prevent her from embracing her life. Talking about oneself brings relief and a struggle. The thrill of being listened to is counterbalanced by the shame of sounding “silly, inappropriate, consumed with minutia,” my fictional patient Adie reports. 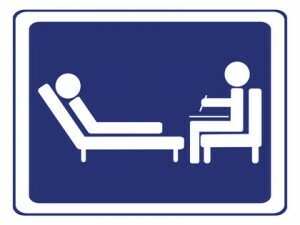 Psychotherapy as an opportunity to expose past experiences continues to stimulate me. I have never thought that Adie was inarticulate and yet, in her mind, she deeply fears that she cannot put words together in an interesting way. Hence she often sits in silence, with a pained look on her face. She often leaves sessions exhausted, even when she begins with high energy. “Today seems like it has exhausted you,” I say, and she quickly responds, “this is a lot of work for me.” I feel for Adie that she cannot see psychotherapy as a release, but rather she sees it as a medicine she has to take to get better, but the journey is one of endurance. Adie has never been listened to. No one in her life, by her report, has ever taken a keen interest in her thoughts, and so the opportunity for that interest makes her anxious and uncomfortable. We talk a lot about how traumatic it has been for her to want to be listened to but at the same time, she is too fearful to talk. She is caught in a never-ending bind, which, together we are slowly trying to unwind. Some days are better than others. Today was hard. Work for both of us. Jonathan Flint MD http://grandchallenges.ucla.edu/depression/team/ presented his work today in which he gave a compelling talk demonstrating that he has found possible two genetic links to depression. He is a recent UCLA hire in which he joins the UCLA Grand Depression Challenge in which there is a multidisciplinary team working on understanding depression. He began with the familiar statistic that women are twice as likely to get depressed as men, and within that, women have a 20 percent chance of having a depression during their lifetime. He did not quite define depression but in the Q and A, he said that he was using the PHQ-9 which are nine questions to determine the diagnosis, which, of course, makes me suspect. Then he said it causes tremendous disability throughout the world and as such costs the world a lot of money in terms of lost labor. So, he summarizes that depression is common, causes disability and is costly and yet research on depression is minimally funded compared to diseases such as cancer or heart disease. He proceeds to show a negative study by his colleague Ken Kendler which did not demonstrate a gene for depression and so from that he concluded that depression is a heterogeneous disease. Well, that cannot be new information, I think to myself. He went to China where he studied only women, who apparently do not smoke or drink, and through looking at their DNA in their saliva, he could demonstrate that the women with depression had a different genetic makeup than did the controls. At this point I was beginning to be interested. The gene, he continues, impacts the mitochondrial DNA, which is the engine of the cell. He was a wonderful speaker and he did fascinating work, all as a result of new technology that makes sequencing DNA cheap and easy. Like the internet, UCLA could lead the world in this work. I am proud to be a Bruin today! 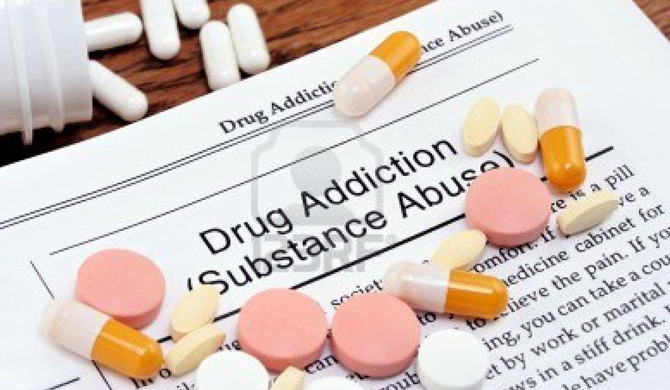 Substance use disorder, also known as drug use disorder, is a condition in which the use of one or more substances leads to a clinically significant impairment or distress. Although the termsubstance can refer to any physical matter, ‘substance‘ in this context is limited to psychoactive drugs. DSM 5 changed our language from substance abuse to substance use disorder. Further, the diagnostic system requires that the substances be specified such that the DSM IV diagnosis of “poly substance abuse” has become “opiate use disorder, methamphetamine use disorder, tobacco use disorder and cannabis use disorder.” More specificity in the diagnosis will help big data analyze “population health,” the new buzzword for focusing on trends and not on individuals. I wonder if there is a difference between “heroin use” and “heroin use disorder”. Clearly, outlining the nature of the substances that the patient uses helps us understand the chemical feeling they are seeking. Yet, my experience in working in drug rehabilitation centers is that the majority of patients use all substances available to them including opiates, cannabis, alcohol, meth amphetamines and tobacco. I salute Lance Dodes MD http://www.lancedodes.com/ who says that substance abuse, like so many behaviors, are about self-sabotage, and not so much about the exact chemical that the patient is drawn to. He states, rightly so, that alcohol abuse is not qualitatively different from opiate abuse, but rather they are the result of self-hatred.This matches my clinical experience. If a patient goes from an alcohol use disorder to a gambling disorder, he does not have a new diagnosis, only a new symptom of an old diagnosis, which, in my mind would be a lost self. Rehabilitation centers need to help people love themselves, and how to do this is up for debate. Being tough, setting limits, or giving them understanding and compassion. Both approaches have successes and failures and both approaches do not know who to target and so most programs use a one-size fits all approach to a problem which uniquely develops in each person. In my mind, the diagnoses should be “escape disorder,” to group people together who need to escape from themselves, such that the major challenge is to find out what they are escaping. If they no longer have to escape, the substance will recede in importance. Is this oversimplifying a complex disorder? I do not think so. It is a hard job to find out what the patient is scared to face, and, of course, the pain they are avoiding is layered and often not obvious. Still, if the focus was on the escape and not the drug, there would be more hope. Our diagnostic system is important since it helps patients understand themselves and their family members. To speak in terms of “use disorders” misses the point. How do I come back to my blog in 2016? How do I not repeat my plea that psychiatrists need to return to history-taking, active listening, and thoughtful consideration of diagnoses, before plunging into the psychopharmacological rabbit hole, where patients do not know who they are or what their problem is, but they are stuck on medications which make them wonder if they, or the person who encouraged them into the mental health office, are “losing their mind.” How do I express my passion for pharmacology which sits next to my passion for understanding and explaining the inner workings of a complex mental apparatus, shaped by years of experiences, and in particular, early vulnerable experiences which lay down a foundation of neural networks which can be re-wired with monumental effort, but there are no short-cuts. I return to my psychoanalytic roots, my training which promotes the dyad, the relationship between doctor and patient, hoping to return to the comfort of the womb, only to be reminded that my imaginary “womb” is also troubled. The doctor/patient relationship is essential for healing, any healing, but at the same time, the power differential in that relationship needs to be understood and appreciated. Patients are vulnerable, as is the physician, but there is an important asymmetry here. Patients can be persuaded to harm themselves, so often evidenced by the seduction of the patient, leading to the patient as re-victimized as a sexual object. Once again, I find myself in this middle band, the band in which the 15 minute psychopharmacological appointment seems greedy and inappropriate to me, while at the same time, the intense psychoanalytic relationship can be used to feed the narcissism of the analyst at the expense of the patient. There is a middle band, but it is lonely and thinly available to me, in terms of like-minded colleagues. This has been my challenge, my point, in post after post. Sunday, I immersed myself, or re-immersed myself, I should say in a psychoanalytic historical lecture about Sandor Ferenczi MD, the Hungarian psychoanalyst who was one of the many proteges of Freud, before he was ex-communicated. In the early 1900s Ferenczi promoted the idea that the doctor and patient are both flowers, sitting together trying to understand one another. There is free association on both sides, he would say. André Haynal MD, a swiss psychiatrist/psychoanalyst explained Ferenczi in historical context, allowing me to propose that while Ferenczi thought he encouraged free association, perhaps he encouraged the patient to feed Ferenczi’s narcissism, to make the analyst feel good, and in so doing, the patient repeated early trauma of sacrificing oneself for the other. Dr. Haynal appreciated the discourse, and a lively discussion ensued. I found myself pathologizing a great forefather in my field, knowing the possibility that one person’s great psychoanalytic treatment could be another person’s narcissistic feeding frenzy. In other words, treatment is not measurable, but ideas are worth struggling with, to deepen understanding. With age, I see the multiplicity of ways in which scenes can be interpreted. One person’s mental illness is another person’s creative expression. The lines are blurry. I embrace that uncertainty. Now, I need to find peers.